We left Johannesburg and it was a hot 35 degrees. 31 hours and 4 international flights later, we arrived in a cold but beautiful city in Norway called Sandane for our first show at the Fjord Blues Festival. On the bill were some great local acts from Norway, some acts from the US like Texas Cannonballs, and one of my childhood heroes Buddy Whittington, who is one of the deadliest guitar players out there and an all round sweet guy. We had a fantastic show and received an overwhelming response from the crowd and media. Stuttgart was the next show at a small place called Galao . We were nervous to play at first because the place was so small, and I thought our volume might frighten some people, but after two songs everyone stood up and removed all the chairs and then things really got cooking. Fantastic reaction from crowd, and things were well on their way for a great tour. The next morning we woke up bright and early and made our way the airport to catch a five hour flight to Turkey. After landing in Istanbul, we rushed to make it to make our 8PM sound check through the most insane traffic I’ve ever seen. The venue was called GarajIstanbul, and it was mind blowing to see such a beautiful venue, and humbling to see an almost full room for my first time in Turkey. This turned out to be one of he best shows of the tour. Weirdly enough, most of the people knew the lyrics to a lot of my songs, and it was great to hear them sing them back to us. After two hours of sleep, we dragged ourselves to the airport to fly to Amsterdam to start our Netherlands run of shows. We had five great shows there, but the one that stands out is the show at Ome Ko in Wijk in Duurstede. 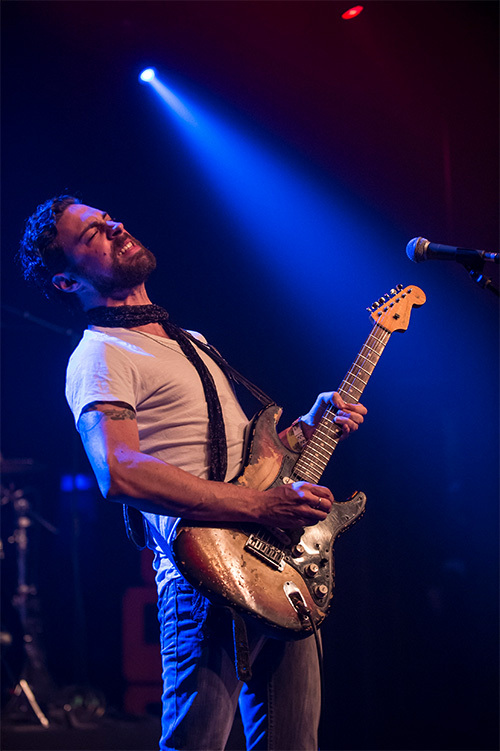 Dan Patlansky performing on tour. Belgium was our next stop and we played a place called Zwarthuis in the beautiful town of Brugge. 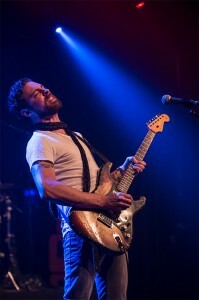 We played more of a classic blues set that night and it felt great to get back to my roots. It was really starting to get cold at this point and winter was well on its way. Warming the fingers up became more and more challenging. Next stop was Kevelaer in Germany. I had played a solo acoustic show in this town in 2013, which went down great. On arrival we were told that it was completely sold out. We had a great crowd that were really into everything we played for them. One of the most fun shows I had on this tour. 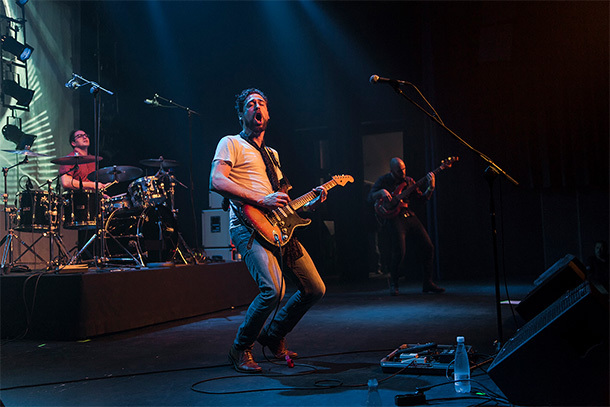 We drove through the night to Denmark for the final show and nine hours, six Red Bulls, and pack of Camel Lights later, we arrived in Horsens/Denmark for the Horsens Blues Festival. In 2013 we performed at the fest on the Beginner/Showcase Stage in the basement, this time we were one of the headline acts for the Saturday night in the Main Stage Theatre. The other notable Headline act was the band, 10 Years After. With a packed house we were determined to prove ourselves worthy of the slot we had been given. All I can say is what great way to end a tour. Fantastic crowd response, great sound and an all round great show. Definitely one to remember for me. Now I am really happy to be back in South Africa and I look forward to the December 2014 shows!